Do you enjoy negotiating with others, defending your opinions, and rationalizing through difficult situations? Are you quick on your feet and able to analyze situations with a critical eye? If so, a career in law may be a good fit for you. As a science major, pursuing a law degree may be off the beaten path, but it is a great opportunity to enter into a career where your degree in science is viewed as a unique asset. Most law schools require a Bachelor’s degree. As with medical schools, law schools accept students with a wide range of majors. Despite this fact, most pre-law students generally major in economics, political science, or history. A major in science can therefore be uniquely beneficial. Having a science background gives students an upper edge in that they have working knowledge of scientific processes and have been taught to think critically, which is a very important aspect of practicing law. Unlike other professional schools, most law schools do not have pre requisite requirements, but be sure to research specific law schools you are interested in to check on this. You can read more about how to prepare for law school, as well as find help attaining internships to get experience, by visiting the Internship and Career Center (ICC). Aside from a Bachelor’s degree, law schools require taking the Law School Admissions Test (LSAT). The LSAT consists of five 35 multiple choice questions and measures reading comprehension, analytical reasoning, and logical reasoning. Preparing for the LSAT is an essential part of preparing for law school, as law school admissions look at applicant’s GPA and LSAT scores as primary factors when admitting students. After law school, students must pass a licensing exam, commonly known as “the bar,” in order to practice law. 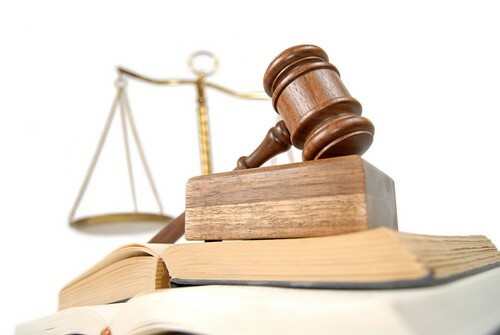 There are a variety of common specialties of law that are applicable to students with a Bachelor’s degree in science. An example of one of these specialties is Patent Law. Patent law involves working in areas of medical malpractice, medical or pharmaceutical patents, and intellectual property of medical or biological products. All of these specialties require a working knowledge of science and technology. According to educationportal.com, patent law is the most common specialty that students with a science background choose to pursue. Patent lawyers specialize in an area of law protecting the rights of new inventions. Applying for a patent is a lengthy process that requires the expertise of a patent lawyer who is well equipped and trained to interpret the law, provide legal documentation, and critically analyze new biological products. Another common specialization for students with a science background is Environmental Law. Environmental lawyers specialize in regulations, laws, and disputes relating to the environment. Environmental lawyers help increase awareness on climate change, alternative energy sources, and other sustainability issues. According to the Environmental Law Institute, the need for environmental legal expertise is expected to grow in the coming years due to an increase in legal legislation involving protecting the environment from greenhouse gases and global warming. Both patent lawyers and environmental lawyers typically have a Bachelor’s degree in one of the following: chemistry, biology, physics, or electrical, civil, or biomechanical engineering. Lawyers are some of the most educated and highly compensated professionals in the United States. The median annual pay rate for lawyers in 2014 was $130, 530. Considering a career in law may be a great option if you are passionate about the sciences and interested in legal rights and how they affect society. U.S Bureau of Labor Statistics: A governmental agency that collects, processes and analyzes labor statistical data for the American public. State Bar of California: This website offers information for both current and future lawyers on how to best practice law as well as advance their careers. Law School Admissions Test: Here you will find all information on how to register and prepare for the LSAT. This website also breaks down how to understand your LSAT score, and details the steps of applying to Law School. Environmental Law Institute: The mission of this institute is to offer innovative law and policy solutions regarding how best to improve the environment. This is easy to do in a place like Davis. There are so many biking trails and most roads have a big enough bike lane in order to bike in safely. This makes it easy to bike from place to place to run errands, giving us a great opportunity to breathe in fresh air and increase blood flow without having to go out of our way. Although it may be cold during the winter, don’t be afraid to bike! Just grab some gloves or a beanie and you’ll be be able to keep warm while biking. This can be as simple as choosing a table outside rather than inside at the MU or Silo. I also like to bring my books to campus on weekends and sit at the tables outside the Student Community Center to study. The campus, as well as downtown Davis, have so many opportunities to choose outdoor seating when the weather permits. This is a great way to get some studying in and be surrounded by a peaceful setting at the same time. If the sun is out, studying outside can also increase your Vitamin D levels. Increasing Vitamin D levels is important because your body must have Vitamin D to absorb calcium and support bone growth. As we all know, exercising has tons of great benefits. If many of you are like me, your New Years resolution includes exercising more! Reading about the benefits of exercise may motivate you to fulfill your resolution and exercise more. The Student Health and Counseling Services describes the benefits of exercise in detail. Exercising at the ARC is one of the most popular ways students get in their daily work out, so if it’s too cold to be outside I would recommend taking a run on the track or even signing up for some group classes, which can be done through their website. Playing basketball at Dairy courts is one of my favorite ways to relax. During winter quarter it’s a great option because it is usually less crowded than the basketball courts at the ARC. The court lights stay on late, usually 1am, so if you want to get out for a quick breath of fresh air you have the option of doing so late at night. Hutchison field, located right next to Dairy courts, is a great spot to kick around a soccer ball, play flag football, and/or baseball. If it’s warm enough, I sometimes like to just lay on the grass and stare at the clouds. Going out to either of these facilities always makes me feel rejuvenated and ready to hit the books! The Arboretum is a great place to immerse yourself in nature. Located right on campus, it’s easy to take a break between classes and take a walk or run. 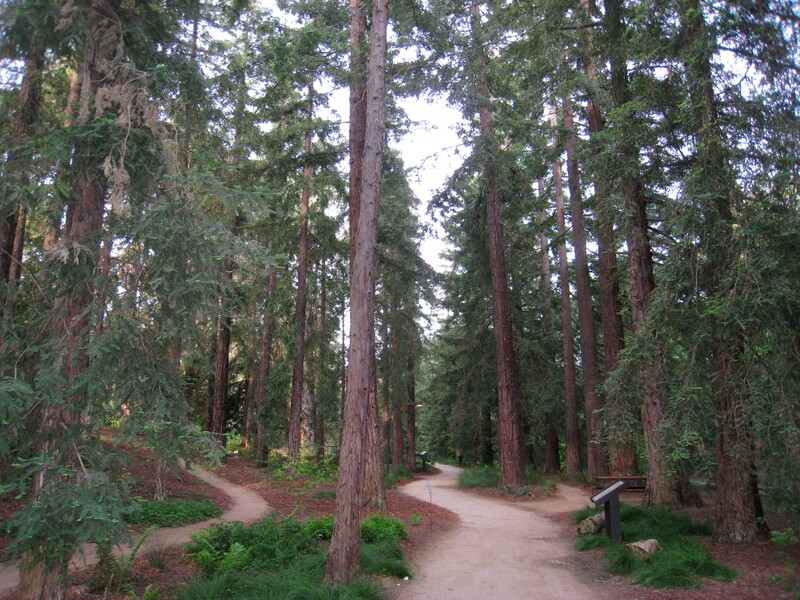 There are a couple different areas of the Arboretum with different groves and trails, and they are all detailed on the new campus map, under “Places of Interest.” where you can I often go to the arboretum to read the plaques about the different types of trees and flowers, it’s relaxing and keeps me knowledgeable on our California native plants! If you have good time management skills, the UC Davis Outdoor Adventures program has some great weekend events planned this quarter to help bring out the adventurer in you! Since Davis is so close to many great parks and recreational facilities these adventures are great for exploring. For example, the program offers an Intro to Cross Country Skiing trip to Tahoe, a Tomales Bay Tour in Pt. Reyes, and Yosemite Car Camping. Remember that your first priority is school, but making sure you get some time outdoors this Winter Quarter will be very beneficial to your health! Follow Our Blog and Receive E-mail Notifications of New Posts! Like our College of Biological Sciences Facebook Page!